Our Friends — Perspectives, Inc.
Minnesota historically has been one of the most charitable states in the country. We give of our time and of our money. The companies and foundations listed below have led the way in supporting so many wonderful nonprofits such as Perspectives. We are humbled by their consistent generosity and support. From 1978 until today the Cargill Foundation has provided over 1.2MM dollars of support to Perspectives programs. They are one of our oldest and most treasured partners. Today their support has been integral in expanding our Kids Cafe to include gardening, a healthy food pantry, and educational workshops addressing nutritional cooking and healthy choices around grocery shopping. Being a good neighbor is not just a cute saying on Targets community giving page, it is lived out each and every day at Perspectives! Without their yearly financial support,and many volunteers that come to us, we would have to dramatically decrease or discontinue many of our programs. Their commitment to our mothers and children is unwavering. 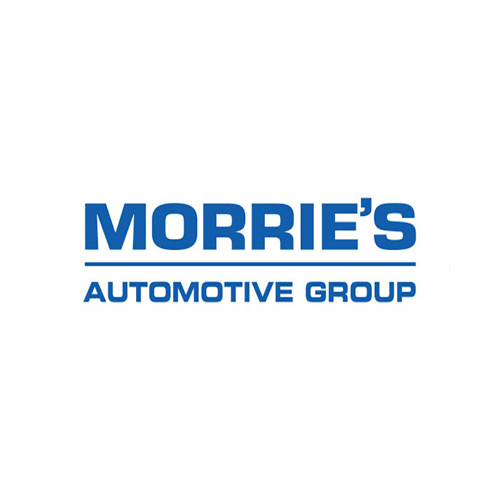 For over 15 years Morrie’s Automotive Group has partnered with Perspectives in more ways than we can count. Whether it is building a playground for our kids, serving Thanksgiving dinner or choosing us as their charity of choice for a fundraising event, Morrie’s leadership and staff have shown time and again that their heart rests right here in our community. Morrie’s isn’t just about Buy Happy, they are just as interested in helping those less fortunate among us Live Happy! The Richard Schulze Family Foundation began its work in 2004 with the charge from its founder to support transformational change. Perspectives began in 1976 with that same focus. Today the Schulze family’s ongoing financial support has helped our Kids Connection program to produce consistent outcomes that remove barriers and improve academic performance for homeless and at-risk youth! Twin Cities SpartanNash employees have consistently volunteered at our housing campus and Family Center. Their amazing dedication has been instrumental in allowing us to save operating dollars, as the projects have ranged from landscaping, painting, and gardening to assembling and moving furniture into our apartments. The SpartanNash Foundation has donated tens of thousands of dollars to our programs. Our two organizations go way back and we so appreciate their ongoing support. our kids going to camp each year the Pohald family never forgets us! Curtis Carlson understood the importance of a good education. He also realized that not all children had the same access to good schools and this was a real problem for our community. The Carlson Family Foundation sees Perspectives Kids Connection as a successful program that addresses these issues, and helps at-risk youth to decrease the achievement gap. We are so grateful for their ongoing and consistent support. General Mills support of Perspectives goes back to 1976. They have grown with us as we have grown. Today their grants allows us to offer a Summer Explorers programs which provides literacy instruction by licensed teachers for 120 minutes per day for nine weeks in the summer. In addition for over 10 years General Mills employees have produced a holiday shopping experience called ‘The Giving Tree’ for our students.